Tristan Rowland doesn’t currently have any reviews. Be the first to leave one. 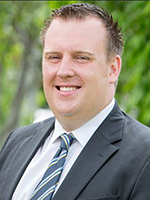 Tristan Rowland has sold 76 properties in the last year. They’ve recently sold properties in Zillmere, Aspley, Chermside, Kedron, Wavell Heights, Wynnum West, Upper Kedron, Hamilton, Geebung, Wakerley, Carseldine, Petrie, Chermside West, Brighton, Everton Park, Indooroopilly, Hendra, Holland Park West, Albany Creek, Stafford, Sandgate, Clayfield, Wooloowin, Teneriffe, Eatons Hill. A recent sale was a 2 bedroom house at 53 Larcombe Street, Zillmere. Their highest sale in the last 12 months was a 5 bedroom house in Hamilton for $1,615,000. Tristan Rowlandwill get back to you shortly. What can Tristan Rowland help you with? Looking for more agents in aspley?